CHICAGO (AP) — In this city’s troubled history of police misconduct, Eric Caine’s case may be unrivaled: It took more than 25 years and $10 million to resolve. For decades, he maintained he didn’t brutally kill an elderly couple. The police, he said, beat him into a false confession. Locked up at age 20, he was freed at 46, bewildered by a world he no longer recognized. Caine ultimately was declared innocent, sued the city and settled for $10 million. But victory brought little peace to his troubled mind. Caine is one of the more dramatic examples of huge police settlements that have tarnished the city in recent years. Among them: A one-time death row inmate brutally beaten by police: $6.1 million. An unarmed man fatally shot by an officer as he lay on the ground: $4.1 million. And last year, the family of Laquan McDonald, the Black teenager shot 16 times by a White officer, received $5 million. His death, captured in a shocking video, led to a murder charge against the officer, the police chief’s firing and thunderous street protests with calls for Mayor Rahm Emanuel’s resignation. 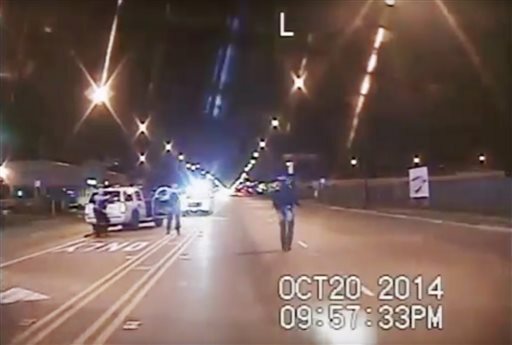 Be the first to comment on "Chicago Racked Up a $662 Million Police Misconduct Bill"